For fans of jazz that intersects with and ventures into instrumental hip hop, this is a great time to be alive. Brainfeeder, Flying Lotus’ independent label, is constantly expanding and diversifying with electrifying artists like Thundercat, The Underachievers, Kamasi Washington, and of course Fly-Lo himself. Beyond Brainfeeder, BadBadNotGood continues to collaborate with rappers like Ghostface Killah and put out consistently energetic jazz. It’s as if a whole pantheon of artists are suddenly responding to the jazz tinged hip hop of A Tribe Called Quest twenty-plus years later. Stepping into this arena comes trumpeter and composer Christian Scott. Scott began diverging into hip-hop influences three years ago with CHRISTIAN aTUNDE ADJUAH. His newest release, STRETCH MUSIC, takes these influences even further. He also pushes himself into several genres of world music and tinges of alternative rock, making STRETCH MUSIC a continuously surprising and engaging album. Always a high energy band leader and heart-breaking trumpeter, Scott’s style fits like a glove with the grooves, swagger, and charisma of hip hop. As staccato notes shoot rapidfire out his trumpet, it’s easy to feel like you’re listening to a master MC rather than a traditional trumpeter. In the breakneck speed of music on the internet, Scott’s constant synthesization of disparate genres feels like a natural progression to match the pace of music today. Scott manages to deftly bend and twist genres to fit together throughout the entire album, and never disappoints. When the drums kick in on “Sunrise in Beijing” to open the album, you could swear you’re listening to a trap banger as opposed to sophisticated jazz. Moments later, however, the flute of Elena Pinderhughes steps back in, taking the track on a flighty solo that shifts things back towards jazz. 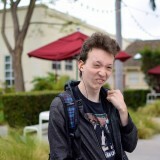 Oftentimes, artists like Flying Lotus and BBNG will settle on doing a hip-hop track with a jazz slant to it, or vice versa, but Scott manages to shift between many different genres within the confines of a single track. “West of the West” starts out as a blues-rock track then slowly bleeds into a braggadocious trumpet solo from Scott, only to eventually merge back with the blues-rock. “TWIN” combines hip-hop bass, flamenco rhythms, and dueling trumpets for an exhilarating dance track. Even when the album takes time to slow down its tempo, the constant bustle of musical influences make STRETCH MUSIC feel alive like an entire city. What Scott did best on this album was choose the right percussionists to play along with him. Corey Fonville and Joe Dyson Jr. consistently lay down a fantastic breakbeat backbone on every track to lend the vibrancy and immediacy of great hip hop. The explosion of hip hop-inspired contemporary jazz has started interesting conversations in both genres. Hip hop is often thought of as being lowbrow music, but its recent fraternization with jazz has drawn out the sheer musical intuition that makes the genre so effective. Conversely, hip hop gives jazz a looser and less intellectual feeling – it’s music that’s actually fun to listen to that comes as much from the heart and the gut as the head. 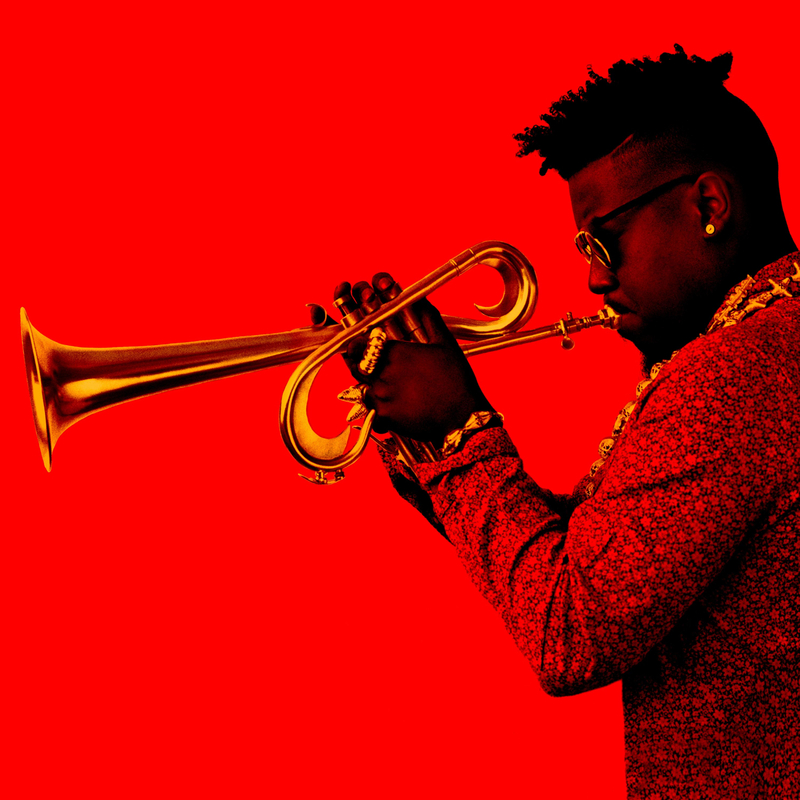 Christian Scott fits perfectly in this new merging of genres, and it’s exciting to imagine him collaborating with any of the Brainfeeder artists and exploring work with rappers. Even if he never comes in direct contact with these parts of the musical world, STRETCH MUSIC is an exciting enough of a contribution to be more than enough. Carter Moon grew up in the desolate Evangelic capital of the world and responded by developing a taste in counter culture, which eventually bloomed into a love for filmmaking and screenwriting. Carter has average opinions on most things, but will defend them adamantly and loudly until no one else wants to bother speaking up. He runs Crossfader's podcast, IN THE CROSSHAIRS.